History buffs usually head for Siem Reap, but Cambodia’s capital also has centuries of history to discover. 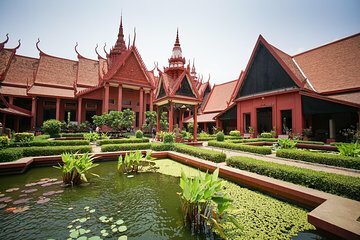 On this full-day private tour, fill in some of the gaps in Cambodia’s story from the mid 14th century to Cambodia’s independence in the 1950s. Your guide moves at your pace on this private tour; with no waiting for anyone else, you’ll see as much of the city’s heritage as possible. My favorite tour in Cambodia!! This intimate tour was a great introduction during our stay! We had an amazing time seeing the beautiful sites of a Phnom Penh. Our guide was amazing and very knowledgeable! It as a great private tour! Definitely recommend!